3 Beds 3 Baths 1 Partial Bath 1,460 Sq. ft.
CHARMING 2 STORY TOWNHOME IN GATED COMMUNITY IS MOVE IN READY! 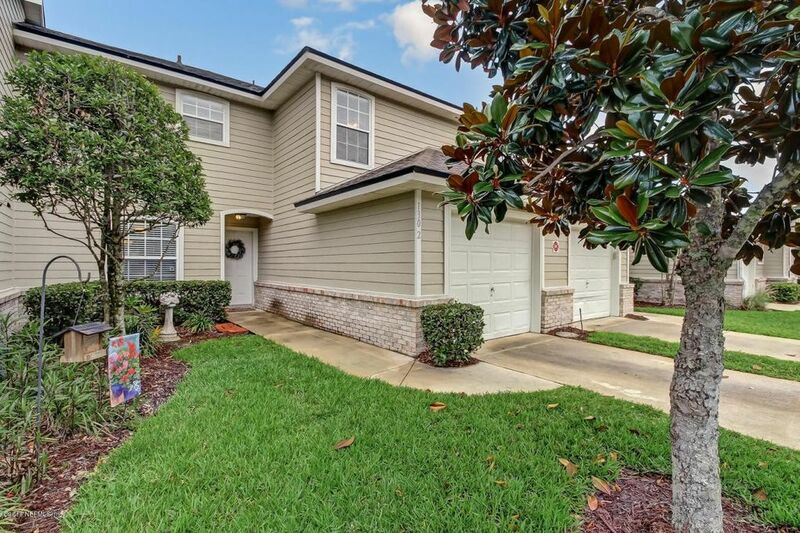 3 Bedroom 2 1/2 Bath Townhome located in the Gated Community of Southbridge at Julington Creek Plantation. Spacious townhouse has ideal floor plan. Kitchen is light and bright offering ample cabinets, Breakfast Bar, pantry, and Breakfast Nook. Convenient Half Bath is on the main floor. Owner's Suite is spacious with oversized vanity, make-up area and walk-in closet. Open Great Room and Dining Room is perfect for gathering with friends and family. Guest Bedrooms are roomy and share a full Guest Bath. Home also has attached one car Garage with storage. Screened Porch is a great spot for grilling out! Southbridge has a playground and has access to the abundant amenities of Julington Creek Plantation, A Rated Schools, shopping. Directions: San Jose Blvd S over the Julington Creek Bridge. Turn left at first light onto Racetrack Road, take right on Flora Branch, enter gated community stay on Southern Bridge Blvd home is on the left.